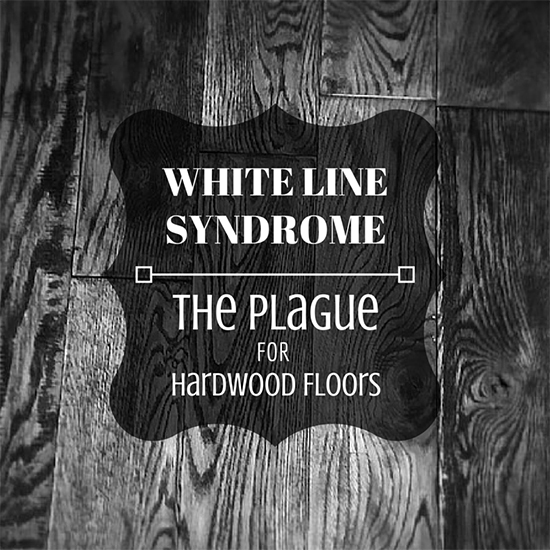 Is White Line Syndrome the plague on everyone’s hardwood floors? White Line Syndrome, also known as “WLS” in the hardwood flooring industry, refers to white lines that manifests between boards on hardwood floors. Over the past 5 to 10 years or so, the blogosphere has erupted with discussions about WLS, prompting some industry analysts to believe that it’s on the rise. So what exactly causes WLS? What can be done to prevent it? And what should you do if you suspect that your new or old hardwood floor is beginning to manifest these aesthetically unappealing (maddeningly so) lines? Author Kim Wahlgren dissected this problem in the June/July 2011 issue of Hardwood Floors (the official magazine of the National Wood Flooring Association (NWFA)), in an article called: “What Is Really Causing White Line Syndrome?” Ms. Wahlgren’s fascinating discussion illuminates WLS as multifaceted and not very well understood – as well as a lightning rod for controversy within the industry. She describes several ways that WLS can come about. 1. Peeling of oil modified urethane (OMU) finishes. Peeling happens because the urethane finish fails to stick well and thus becomes easy to abrade. She quotes one manufacturer, who summed up the problem nicely: “It’s stuck, but it’s not stuck well enough!” The solution involves complete, thorough, and uniform abrasion before to guarantee better adhesion of the OMU. When sealers fail to dry – or when you apply too much stain, and it gets between the boards – the evaporation can lead to residue that looks like white line syndrome. 3. Finish gets stretched to create what Ms. Wahlgren refers to as “real” WLS. Why is it all happening now – and what can you do about it? As Ms. Wahlgren points out, the blogosphere abounds with theories about why WLS seems to be on everyone’s mind today. Some theories are eminently plausible– for instance, she suggests that customers’ preferences for darker woods (e.g. walnut, padauk, etc) lead to conditions where WLS will be more visible (The white lines look more prominent than they do on lighter wood, like maple). Other theories are outlandish – for instance, one theory suggests a conspiracy: finishing manufacturers are hiding the fact that WLS-inducing components have been added to resins. 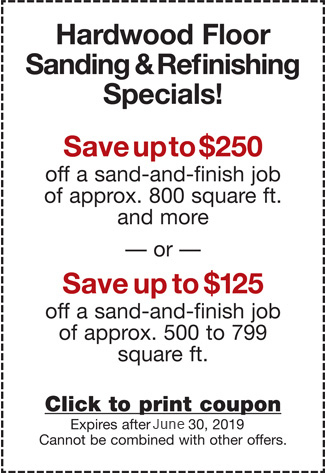 Whether you are currently suffering WLS discoloration on your floors, and you want an expert opinion; or you are considering hardwood floor refinishing, floor installation, remodeling or other construction job, and you want to do it right (avoid WLS from the get go), connect with the professionals at Elegant Floors. Call us at 408-773-8624, or learn more about our hardwood floor finishing for South Bay homes.